Audi A3 Mk2 8P Air Vent Pod Gauge Holder Adapter. Air vent gauge holder adapter are made to fit inside the existing vent pod assembly to to fit a. 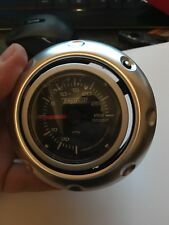 52mm Gauge (boost, oil pressure, water temp, ect). (White option is the best option if you decide to paint to custom colour). AUDI A4 B6. Centre Console Armrest Lid Latch Clip Catch Button. 1 X armrest cover latch. COLOUR IS BLACK. We can solve all of problems easily and fairly. We are based in United Kingdom. We can solve your problems easily and quick. Seat Leon 1M/Audi A3 8L Mk1 Air Vent Pod Gauge Holder - Gloss Black. Seat Leon 1M/Audi A3 8L MK1 Center Air Vent 3 Hole Gauge Holder. Gauge holders are made fromg loss black ABS so they will not require painting (White version is best if you decide to paint to custom colour.). Harman / Kardon Aluminium badges. AUDI TT MK1 GENUINE LEATHER GEAR KNOB 99-06 6 Speed. Condition is Used. Dispatched with Royal Mail Signed For® 2nd Class. These are for the 5 and 6 speed with push down reverse. Or copy the links below and have a look. 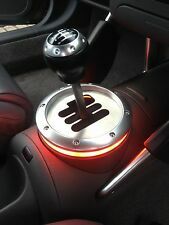 Hello and welcome to my listing for this Audi TT Mk1 225 180 8N Facelift Alloy Gear Knob 6 Speed With Red Leather Gator. Condition is Used. Dispatched with Other 24 Hour Courier. This part is in good condition and perfect working order. Any questions please feel free to ask. Many other Audi TT parts are available check out my other listings. Thanks for looking and happy eBaying. New Audi R8 Manual Gear Knob - Aluminium - Never Fitted. Condition is New. Dispatched with Royal Mail 2nd Class. Designed to fit in place of the original part in a single part swap. Leatherette gaiter with matching black stitching. A4 (B7) Saloon [2005-2007]. A4 (B7) Avant [2005-2007]. A4 (B7) Avant [2007-2009]. Custom Audi A3 A4 A5 A6 Carbon Fiber Steering Wheel. Real carbon fiber. Takes approximately 3 weeks to be completed. You choose colour of stitching. Please contact me prior to purchasing to ensure fitment. 73 Piece Audi TT Stainless Steel Countersunk Engine Bay Cover Fastener Conversion Kit. 9 x A2 Stainless Steel Gearstick Surround Bolts (One Spare). The Countersunk Washers and Bolts are made from high quality A2 Stainless Steel - ensuring long life and great appearance. Audi S3 8p gear knob and leather trim good condition no rips or tears all plastic clips underneath intact came off a 2008 S3 I bought brand new so no longer need. Gear Shift Knob Stick Lever Gaiter Boot Cover Black PU Red Line Universal UK. Car Blue Manual 5/6 Speed Gear Shift Knob Shifter For VW Golf Polo Universal UK. Red Car 5 Speed Manual Gear Shifter Stick Shift Knob Lever Universal Aluminum. EPMAN 2004-2011 Audi A3 Carbon Center Console Cover. - Fits Audi A3 8P. - Top industry quality Carbon Fiber. This easy to install mod will brighten up your interior in a few minutes. Simply remove the old ones and replace with these. 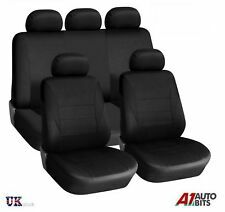 Leather Look/Leatherette Universal Seat Cover Set In Grey & Black. 1 X REAR BASE SECTION SEAT COVER. 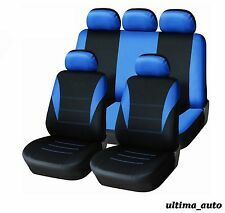 2 X FRONT SEAT COVERS. 1 X REAR TOP BACK SECTION COVER. These covers are intended to protect your original upholstery from dirt and wear. 1 GEAR KNOB with gaiter boot. AUDI A4 B7 (2004-2008). AUDI A4 B6 (2000-2004). with 6 speed shifting. Always carefully compare OE number and pictures with your old part. › Watch Item ‹. › coming soon. RED STITCH SUEDE MANUAL GEAR KNOB FOR AUDI A3 8p. Condition is New. The gear knob is also suede. This is for a 6 speed version red with white stitching. Fits: MK2 TT. Of course it could be cancelled if after the conversation, it turns out not to be a suitable part/product for you. Premium Quality, dense velour deep pile, providing ultimate comfort for you and protection for the footwell, with a great eye catching look, including anti slip underside. Hello and welcome to my listing for this Audi TT Mk1 225 180 Quattro 1.8T 8N facelift alloy gear knob 6 speed gator (grey base) OEM. Condition is Used. Dispatched with Other 24 Hour Courier. This part is in good condition and perfect working order. Any questions please feel free to ask. Many other Audi TT parts are available check out my other listings. Thanks for looking and happy eBaying. • Full surround design Front and the back. 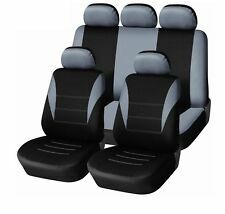 High-QualityBlack PU Leather Front Car Seat Covers. 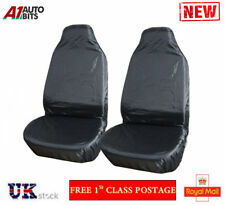 2x front seat covers. • Easy installation. ALUMINIUM BADGES. Fast Dispatch. Low Pricing. Top Quality. SELF ADHESIVE. This knob will fit a3 8p and 8L, Tt mk2 8j but only the knob the leather gaiter only fits a3 8v 2014>. 1 GEAR KNOB AND GAITER BOOT WITH 5 SPEED SHIFTING. - AUDI A4 B7 (2004-2008). - AUDI A4 B6 (2000-2004). Gear Knob Type: Standard. COLOUR: BLACK / SILVER. Colour: Black. Why buy from S2 Group?. Best Match. AUDI A3 CABRIOLET (2015-2017). AUDI A1 (2011-2017). AUDI A3/S3 (2013-2017). Audi A3 MK1 8L1 Air Vent Single Gauge Holder. existing driver side air vent on a RHD or LHD car. Holes are made to fit a52mm Gauge (boost, oil pressure, water temp, ect). (White option is the best option if you decide to paint to custom colour). 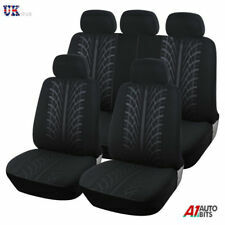 These covers are intended to protect your original upholstery from dirt and wear. ( not suitable for cars with bucket style car seat or non standard car seats, standard seats). 1 X REAR BASE SECTION SEAT COVER. Audi TT Mk. 1 Fast Removal Knobs for The Battery Cover/Trim -. Consists of 3 x Contoured Head Fittings, A2 Flat washers & A2 Lockwashers to be used in place of the existing screw fittings. 3 x Contoured Knobs for hand tightening & removal. Designed to fit in place of the original part in a single part swap. Leatherette gaiter with matching black stitching. A4 (B8) Saloon [2008-2016]. A4 (B8) Avant [2008-2016]. High quality hard wearing gear knob with leather pattern. Audi Q5 8R. Audi A4 B8. Audi A5 8T. Audi A6 C6. Number of gears/ gearbox: 6 Gear. FORD FOCUS C-MAX GEAR SHIFT STICK GAI. Toyota Yaris 99-05 REAR TAILGATE LOCK. Material: Eco-Leather. Function: Personalize and beautify your car in a simple way. Skull Head Universal Shifter Gear Stick Lever Shift Knob Manual Type Car Auto UK. Universal Car Aluminum Manual MT Gear Stick Gearstick Shift Shifter Lever Knob. AUDI TT MK1 8N ALLOY 6 SPEED GEAR KNOB & ALLOY DOOR INTERIOR PULL HANDLE COVERS. HAS SCRATCHES FROM USE BUT FULLY INTACT AND JUST NEED POLISHING. Condition is Used. Dispatched with Royal Mail 2nd Class. It fits A3/S3 8V models. DASHBOARD FACIA GATE PAD KIT. These pads simply fit into the bottom of the cup holder \ door casings and facia. 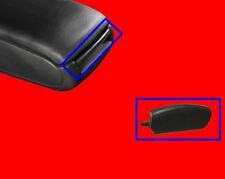 Genuine Audi A1 Armrest Parts. Huntingdon Audi - Part of the Vindis group. AUDI A4 B6. Centre Console Armrest Lid Latch Clip Catch Button. 1 X armrest cover latch. COLOUR IS GREY. We can solve all of problems easily and fairly. We are based in United Kingdom. We can solve your problems easily and quick. AUDI A2 1.4 TDI SE 5DR 5 SPEED GEAR KNOB & GAITER. Condition is Used. Dispatched with Royal Mail 1st Class. Audi TT Mk1 Air Vent 3 Bar 60 mm Analogue Dial Electronic. A quite sophisticated 60mm Boost and Vacuum gauge in a Mk1 Audi TT dashboard air vent. 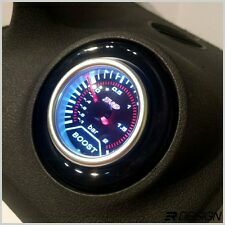 See my other TT boost gauges. 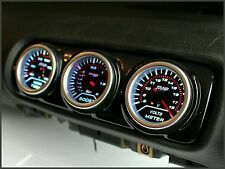 Turbo Boost and Vacuum Gauge Kit. As found in the later audi models with Ali styling. Audi Cigarette Lighter Blank Cap. Genuine OBA Wooden Steering Wheel. Bought this one for a bmw e28 that I’m currently doing up but picked up a Mtech one that is more suited to the car. It’s in really good condition with just a couple of minor marks.